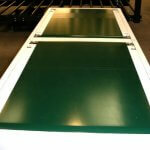 Belt conveyor systems tend to consist of two or more drums driving an endless loop of conveyor belting. One or possibly even both of the drums will be powered, allowing movement of the belt and in turn, movement of the material being carried. 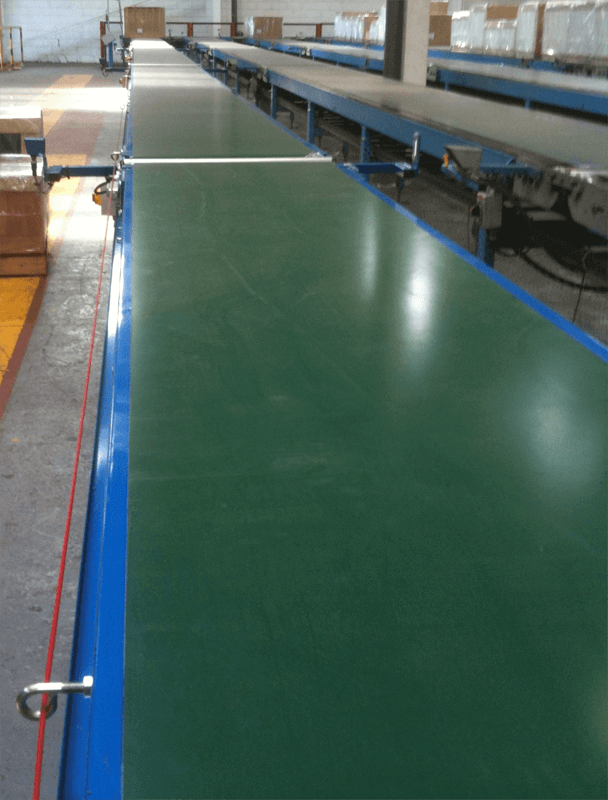 There are two main types of belt conveyor systems in industry; those that are used in general material handling environments such as factories and distribution centres, and bulk material handling systems that are used to transport large volumes of loose resources and agricultural materials, such as grain, coal, sand etc. 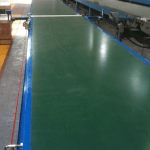 There are also a number of different types of conveyor belts available dependant on the kinds of material being transported. 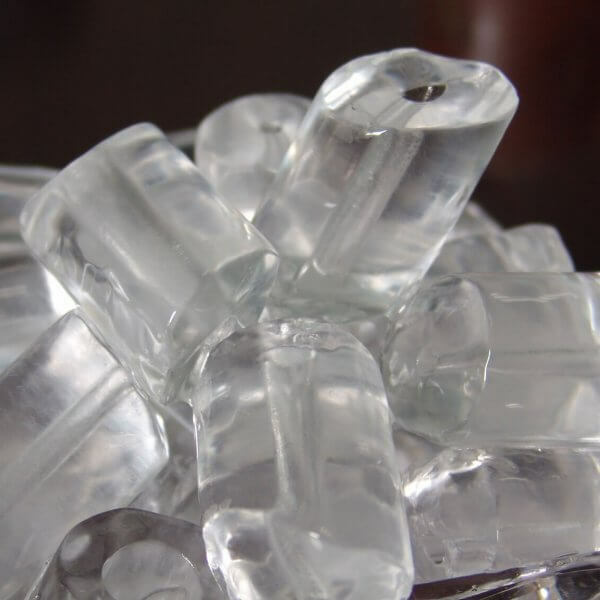 Belts generally consist of one or more layers of material. Belts working in general material handling tend to have two layer structure; a bottom layer of material providing linear strength and shape. This part of the belt is called the carcass. The other layer, the top layer, is commonly known as the cover. The carcass tends to be made from a woven warp & weft fabric with the most commonly used carcass materials being polyester, nylon and cotton. The cover is usually comprised of various rubber or plastic compounds that are normally dictated by how the belt is being used. 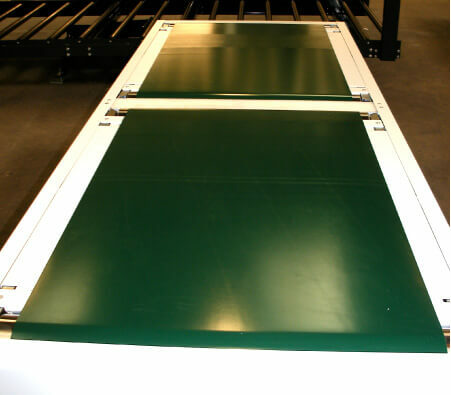 Occasionally, covers can be manufactured from more uncommon materials such as silicone for heat applications or gum rubber when additional traction is required. 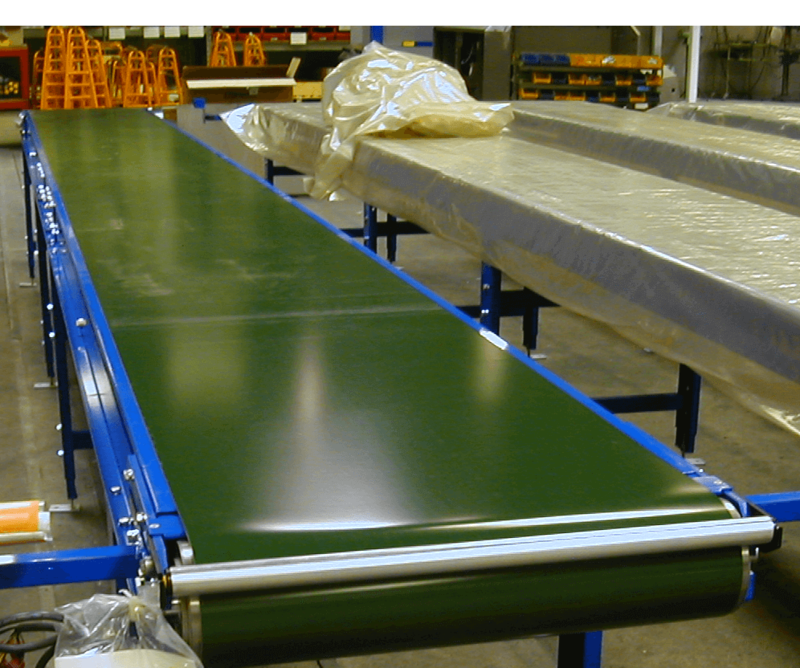 Belt conveyors are ideal durable, reliable components widely utilised in many automated facilities including distribution and warehousing. Combined with computer controlled pallet handling equipment an efficient retail, wholesale, and manufacturing distribution facility is born. 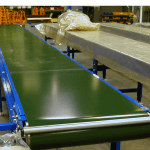 Belt conveyors are a competitively priced solution that reduces man-power requirements, increases product flow volumes, streamlines process flows, allowing industries to handle higher volumes with the minimum of storage space and labour.